Rejoice! For the Alpha 3 release of 10 Seconds of Light is here! Now with a menu, difficulty & level selection! Almost feature-complete, jump mechanics are still wobbly, but shooting works well. Also: first music track is finished (level 4). Next: more music, more effects, more in-game menus. The game is coming along, not quite as quickly as I would have liked, but okay for day 1. Good night & happy coding everyone! 8-9 hours in I finally got some gameplay, you can jump around with separate air and ground friction. here’s a preview gameplay: windows download and mac+linux, requires löve2d 0.7.2 (0.8 doesn’t work). Next up is more (actual) food, some jumping/falling animations for the player and evil spikes (thumtacks) that you can die on. On your quest trough the crypts, you’ll find urns filled with oil. You can light them up and throw them trough the hallways. You can use it to scare lurking danger away or even burn it to ashes. Should you be scared of the darkness in the next room, throw one of these inside and you’ll know what’s there waiting for you. “Burning Urn” spam is a bit of exaggeration, I know but it won’t be possible to throw those so quickly one after another…it won’t be wise anyway. Once again, I seem to have made a game which only I will able to play. You can play the current version online here. It desperately needs collectables of some kind to give the game some objective. 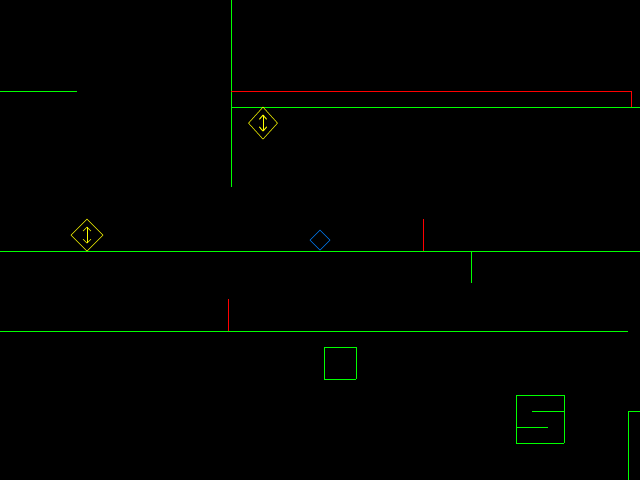 I can probably get away without much more level design, since it’s already fairly confusing with a non-massive level. But first, I think it’s time for some food. Making steady progress. The game is playable, win and lose conditions are working. Now for more touches and lots of levels. 29 queries executed in 0.140 seconds.